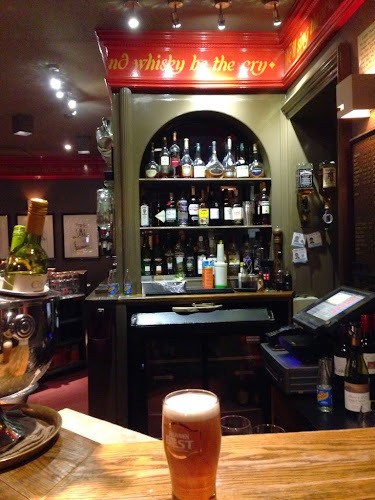 The Magnum is one of those cosy, welcoming, unpretentious bar/restaurants (looking at you Veritas Leeds) that is surely a favourite with those living in the area, but which is well worth seeking out if you’re visiting Edinburgh too. Just a five minute walk from the main shopping strip on princes Street, it has a sophisticated suburban feel to it and was the perfect setting for enjoying a candlelit dinner on a chilly night in Edinburgh. My pint of Belhaven Best was in great condition, but it isn’t the most exciting of beers and the beer choice in general was below par I thought. That said the Malbec we ordered with dinner was a corker, and great value to boot - though no decent beer being available is a bug bear of mine I must admit. Our starters of seared duck breast carpaccio and lightly pan fried scallops with chilli and tomato sauce were both excellent, but it was the scallops, served with a bitter micro herb salad that offset the sweetness of the scallops and sauce that was the winner. A perfect palate awakening starter. 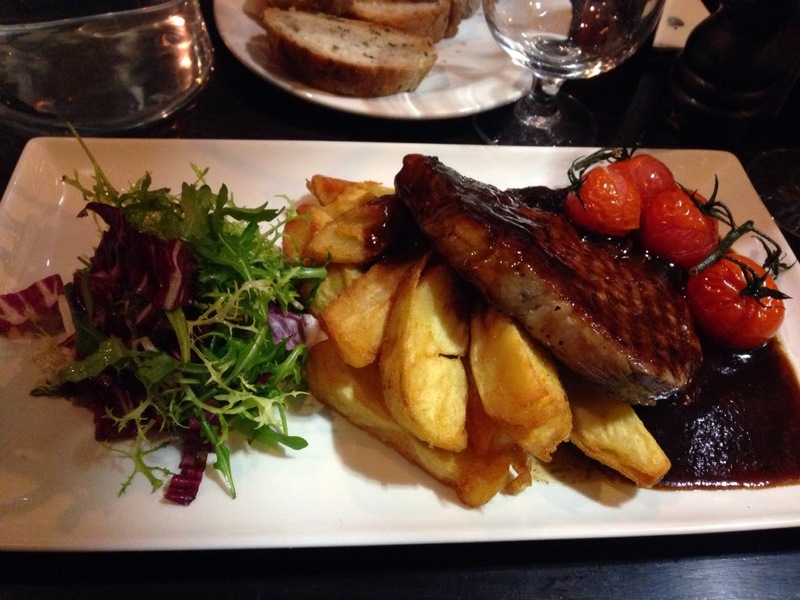 For the main I ordered the Scottish ribeye steak with chunky chips and red wine jus, because I just couldn't resist it. A good steak and chips really is hard to best and this was an absolutely perfectly executed version, with the rich, sweet gravy pulling the whole thing together. 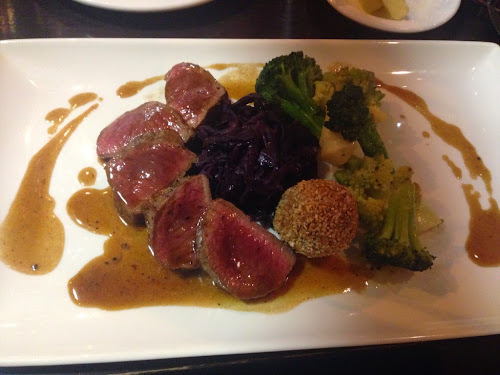 Colette ordered the venison haunch, which was gamey, moist, well seasoned and delicious. Alongside black pudding, red cabbage, and a haggis bon bon. The kind of hearty food that you want to eat after a day walking round the castle - which by the way, you must visit, it's an amazing place with beautiful views of the city worth the admission alone. 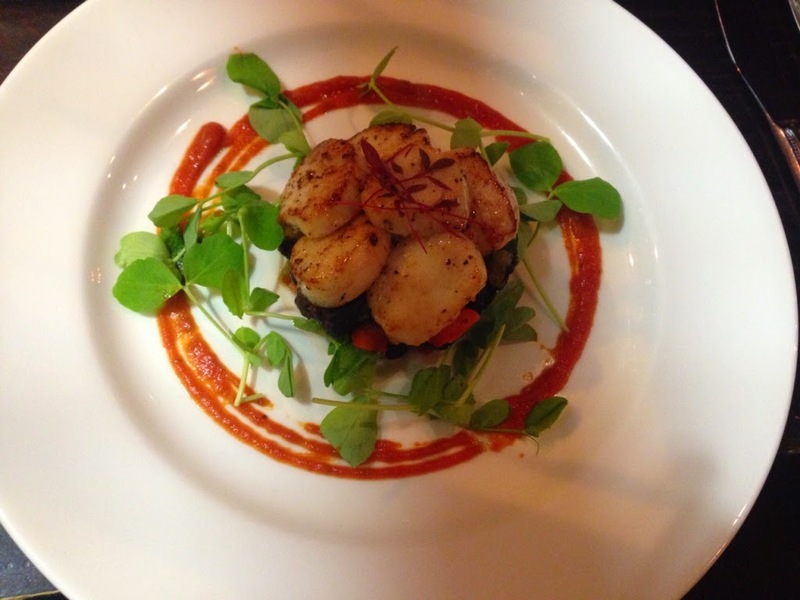 We loved The Magnum - Great food in an unpretentious yet classy brasserie style restaurant. It's a little diamond of a place and well worth a visit if you're in Edinburgh.